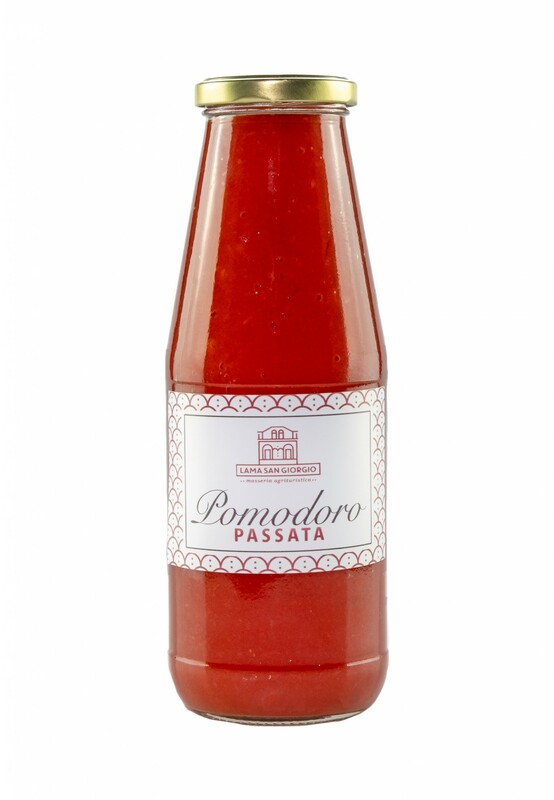 Healthy and natural, it is the ideal condiment for your every meal. In the wonderful land of Terlizzi, to the north of Bari, our olive grove extends with two varieties of plants "coratina" and "cima di bitonto" that produce, after a careful milling, the extra virgin olive oil biological Lama San Giorgio, with an enamelled gold-green color, with a fruity flavor and a very low degree of acidity. 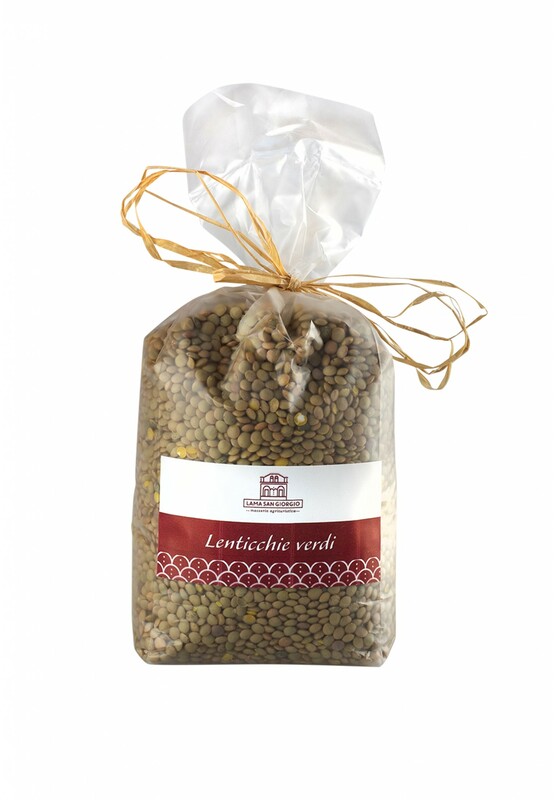 Green lentils are a excellence among food farming of our territory. Easy to cook,they have a delicate herbal scent . Senatore Cappelli durum wheat Orecchiette, bronze drawn and slowly dried. 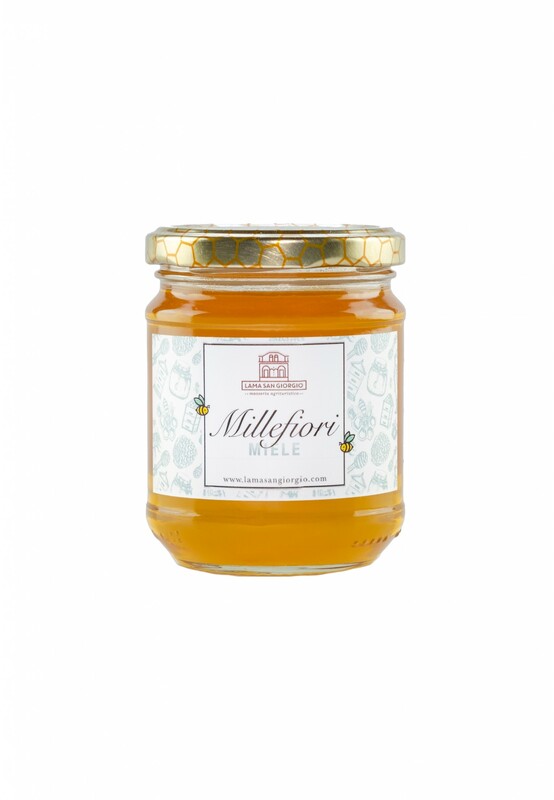 Italian product from wheat grown, milled and processed in Italy. A beautiful cherry-pink color, with a fresh and light taste. Rosato Negroamaro, with an intense cherry-pink color and a lively bouquet of fruity and floral notes, among which the notes of cherry, pomegranate, violet and tea rose stand out. Sapid and fresh, it gives a fine and delicate harmony of sensations. A very versatile wine for all meals, it goes well with traditional Mediterranean dishes, vegetable soups and white meats, elaborate dishes of fish and molluscs. A tasty side dish, or an appetizer for all hours. These particular dried tomatoes, prepared and preserved with our extra virgin olive oil, are perfect to be combined with meat, as a side dish. 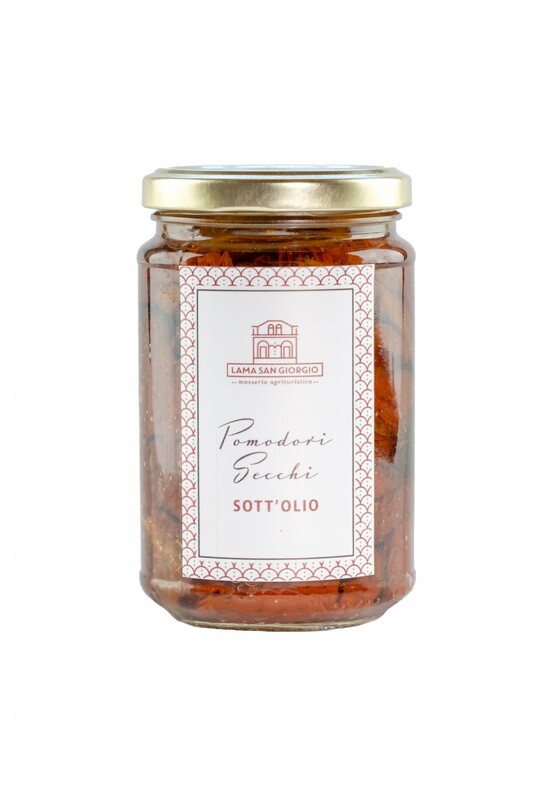 In addition, for the true admirers of the Apulian pickles, even a snack based on this delicious dish, to be consumed in mid-morning or late afternoon, could be a real treat for your palate. Intense color with violet reflections, strong and pleasant flavor, to be served on roasts and grilled meat. Negroamaro, with an intense ruby red color. Warm and soft with its fragrant fruity sensations of small red fruits and spicy notes that enrich even more the complex range of flavors. An interesting wine of enjoyable versatility, combined with pasta dishes based on fresh and stuffed pasta, vegetable and mushroom soups, grilled or baked meat. Energizing at breakfast, delicious as a snack. Oranges are famous for containing high amounts of vitamin C, which helps keep our immune system high. For this reason, starting the day by spreading our orange marmalade on a crispy biscuit slice is not only tasty, but also useful! Moreover, they are a true handicraft product, given that they are prepared with great care by our cook, Mrs. Marisa. An evocative dish that incorporates the typical flavors of the Apulian cuisine, also winking at the modern kitchen.